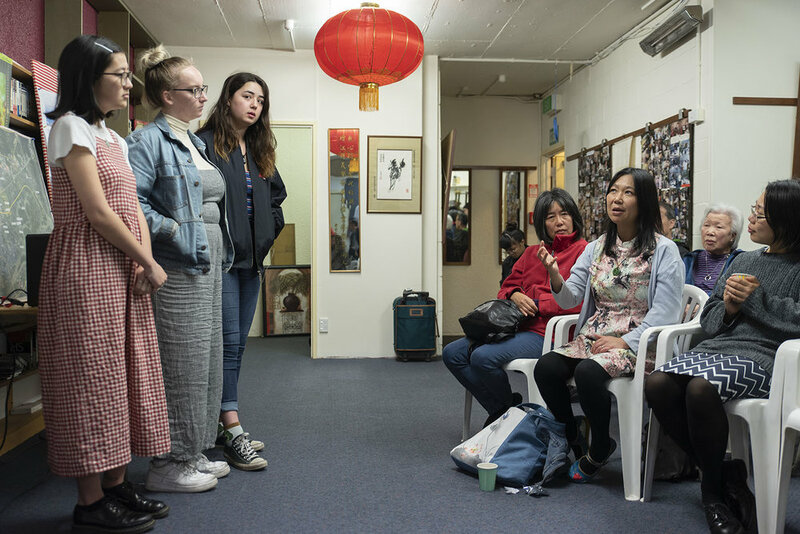 The final event of the Asian Aotearoa Arts Hui will introduce participants to two historic sites of significance, the Tung Jung (est 1926) and Seyip (est 1949) association buildings located in central Wellington. Since the early 20thcentury, these county organisations have provided support for the early Chinese community settling in the city, arranging accommodation for new arrivals and often loans, jobs and interpreters. In recent years they serve as venues for social gatherings, traditional festival celebrations and other community activities. The morning tea will begin at 9am at the Tung Jung Association (33 Torrens Terrace), and will feature a screening of a short documentary, Cast Out:逐about a Newtown man, Kim Lee, who in 1903 was exiled to Mokopuna Island in Wellington harbour. The 15-minute film was directed by Matilda Boese-Wong with her team of Victoria University film students who will be there at the showing. It will be followed by a facilitated discussions on artists’ responsibility and ‘where to from here?’, led by Mengzhu Fu. The morning tea will conclude at the Seyip Association (21-25 Ghuznee Street) with a short workshop led by Renee Liang on cross-cultural ritual and practice.